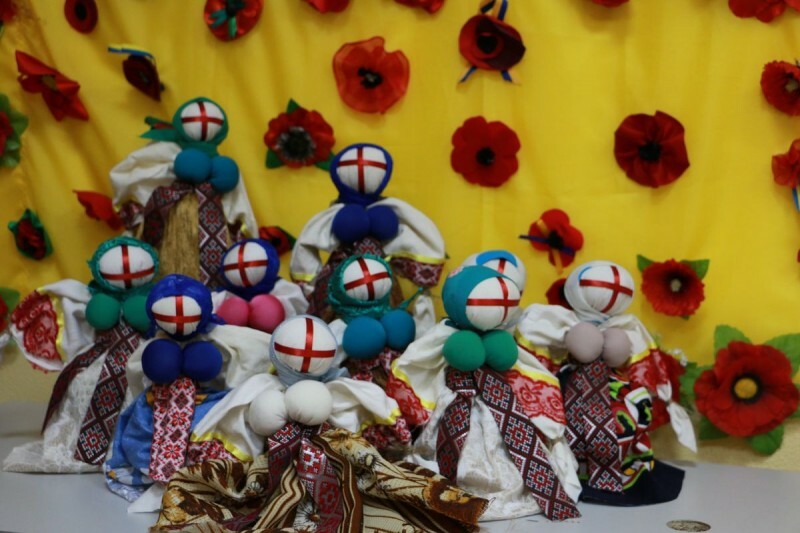 Within the project “ATOgraf” Kharkiv volunteers created 70 rag dolls for national guardsmen of the Eastern territorial association. The idea was born suddenly – when due to the philanthropist and leader of one of the IT-companies of Kharkiv Dmitry Sverbilov, volunteer Natalya Grinenko sewed more than 500 flags for checkpoints, strong points and technology for guards who serve in the ATO area. Then it was decided that at the all checkpoints and all strong points some symbol must protect Kharkiv Guardsmen that would remind them about home, Kharkiv and grateful Kharkivens. “Let’s create rag dolls for our defenders? Bright and with good “forms”! – proposed Natalya Grinenko. The idea was supported by girls of a volunteer group “Bereguinia” (Keeper) who create scrims for soldiers and “kikimora” (camouflage suit) for snipers. For two weeks the girls created talismans at off-work time and out of volunteer activities. All the rag dolls are already transferred to the command of the Eastern territorial association of National Guard of Ukraine. 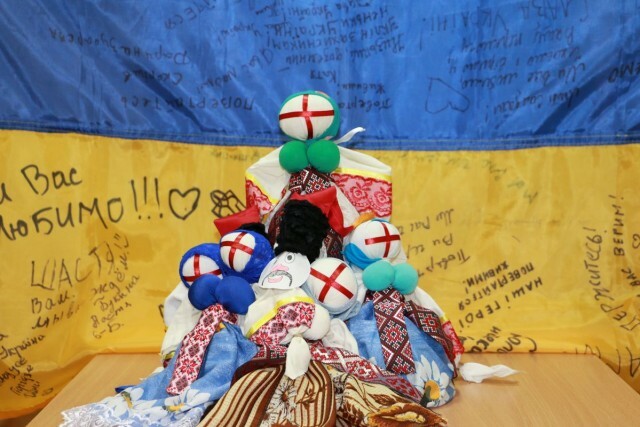 The Deputy Chief of territorial administration colonel Vasyliy Pylypenko said that before the New Year on the every checkpoint in the ATO area where the guardsmen serve will be given a Flag of Ukraine and rag doll carefully made by Kharkivens.